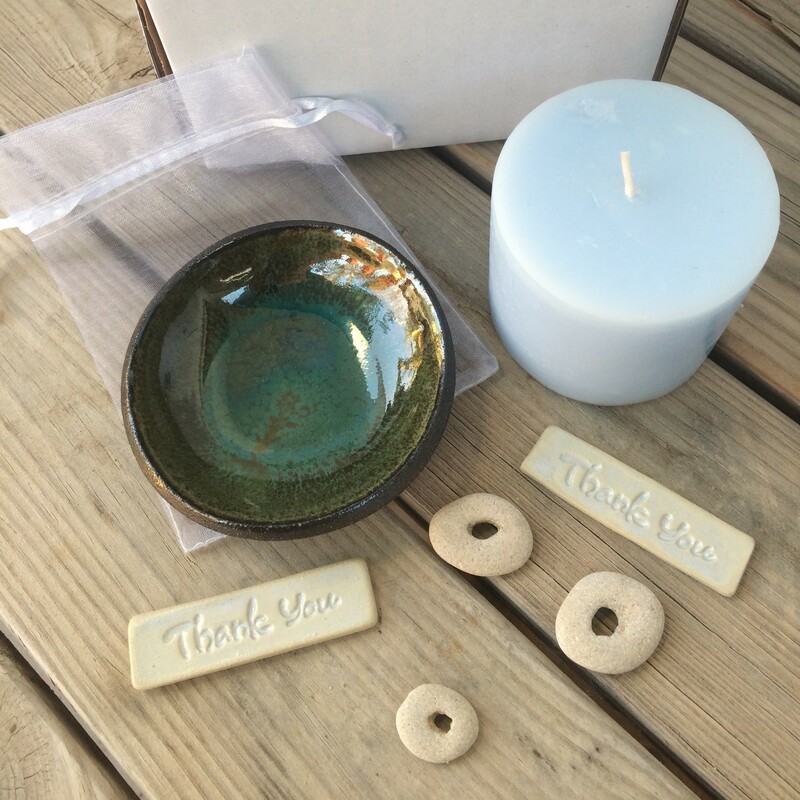 Products / Thank You candle combo with natural sea-stone "hugs"
Thank You candle combo with natural sea-stone "hugs"
The ceramic bowl is hand-made from a special dark clay, which was kiln-fired twice at high temperature, creating a dishwasher-safe "stoneware" item with a lead-free glaze. The little round "hugs" we’ve included in this box are naturally occurring sea stones found on Israel's Mediterranean seashore. Limited quantities available. Makes a fantastic "Thank you!" gift.